Aurora was such a dream to photograph. She slept so soundly for her session. 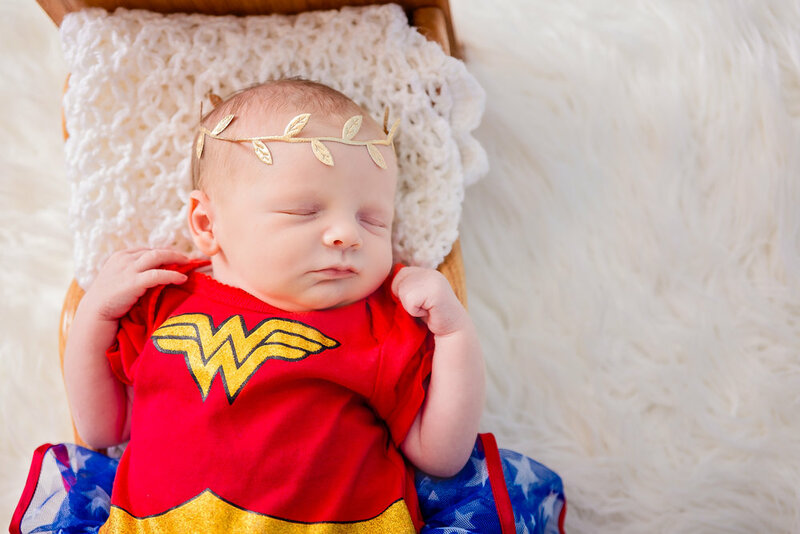 Mom told us that she cosplayed as Wonder Woman, so she brought along an adorable little outfit for Aurora and part of her Wonder Woman costume. I just love when we can add that personal touch to our sessions. Mom and Grandma were definitely prepared for the shoot, as they also brought along some cute stuffed elephants, headbands and a ruffled diaper cover to match.